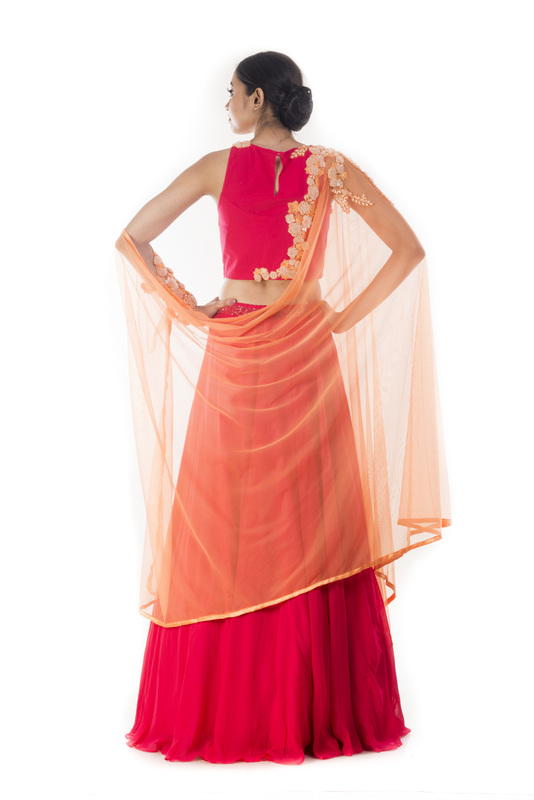 Featuring a rani pink crop top and lehenga along with a tamarind attached dupatta. The crop top has been embellished with pearl and net appliqu`e embroidery. 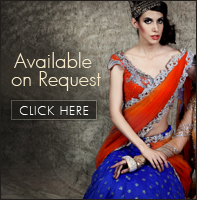 The lehenga has a mixed sequins belt and is carved into a circular cut. 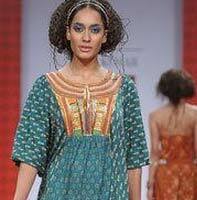 The attached dupatta also has similar embroidery of pearl and applique.